Michael Patton provides an argument for the historicity of the Resurrection in "What Happened to the Twelve Apostles? How Their Deaths Evidence Easter." .... 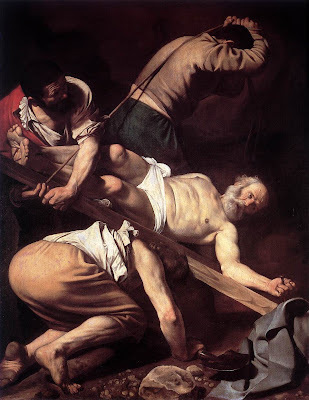 The martyrdom of some of the Apostles is more certain than others. Historians will have different degrees of certainty concerning the circumstances of their deaths. For instance, unbiased historians will not take issue with the historical credibility of the martyrdom of Peter, Paul, and James the Apostle. Many of the other accounts have decent historic validity as well. Some accounts, however, raise the eyebrow and cause us to remain agnostic. However, when boiled down to their least common denominator, it is very feasible to believe that all but one of the Apostles suffered and died a martyr’s death, even if we can’t be sure of the exact details. They died for a lie and knew it (unsustainable due to lack of any reasonable motive). They were all delusional and crazy (but this would take more faith than any option since you would have to explain how they all had the same delusion and craziness—many being at different places and different times). What they said was true. Christ did rise from the grave and is who He said He was. It seems to me a very strong argument. One eyewitness—a very strange one—might conceivably die for something he knew to be a lie—but many? Each additional martyr to a truth they would personally have witnessed adds to the probability that the event happened. Many witnesses would be persuasive—how much more persuasive a willingness to die because of something they claimed to have witnessed? There is much more at Patton's site: Parchment and Pen, including a downloadable pdf of the article with some discussion questions.